When an Irish knight dies mysteriously at a banquet she is hosting, Queen Guenivere is charged with murder and faces death at the stake if found guilty. Her loyal page, Gildas, rushes to the woods to track down Merlin and convince him to take up the investigation and save the queen. 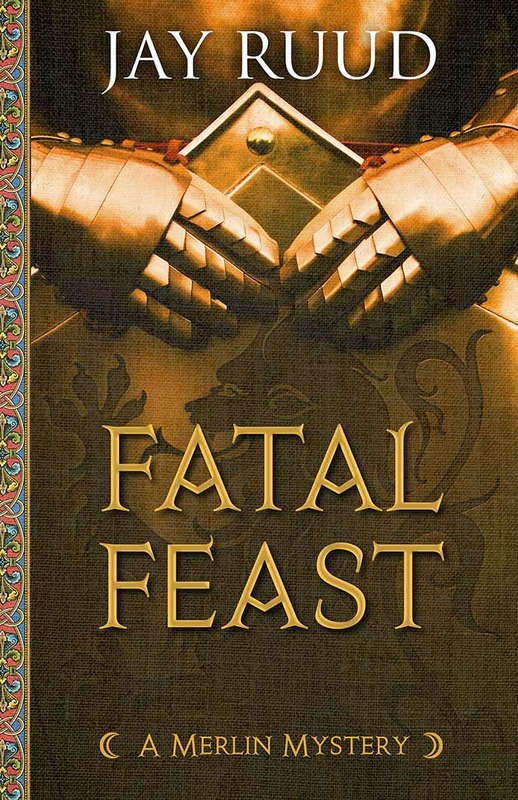 Fatal Feast is a fast-paced murder mystery set in the legendary court of Camelot, imagined as it might have existed in the high Middle Ages, with Sir Gawain, Sir Gareth, and Sir Lancelot in pivotal roles, and the young Gildas, enamored of the queen's young lady-in-waiting Rosemounde, an unlikely courtly lover focused on saving the queen, and impressing his Rosemounde- not necessarily in that order. I recall reading The Ring and the Crown by Melissa de la Cruz, which was also a historical fiction set in the same time period. The beginning was a bit slow for me. I couldn't quite grasp what the story was about from the gestalt. I'm not familiar enough with this time period to quickly grasp the concept. If you've ever read Intangible by C.A. Gray and have loved it, I know for sure that you will love this book as well. I'm gonna put it out there that I dislike historical fiction. But when it comes to Arthurian legends and Greek mythology, I'm the kind of person that's willing to try. I've always pushed myself to like these kinds of books, and I really like this book was enough to give me that forceful shove forwards. The main point of view came from a knight (or at least I think it was a knight) that was accompanying the queen to this banquet. We can tell from the beginning that he has some sort of affection for her. The author's language is beautiful and descriptive, one of the things I liked about it. And throughout the book, the narrator is humorous and serious. I got really attached tin the beginning. The Queen ends up giving an apple to Sir Patrise but, for some reason, he ends up dead after eating the apple. All hands soon point to the Queen as she is blamed for the death of Sir Patrise. It's pretty obvious that she was set up, but I appreciate how this entire event is foreshadowing to the events that unfold in the future. The creativity of the story intertwined with the legends is just spot on! I can't believe how well done it was. And gosh, it was so similar to Intangible. But I quite liked the aspects of this book better. They are definitely different books plot-wise. Fans of mysteries and medieval legends will fall head over heals for this book. I've got a good feeling that this book will be getting a lot of hype soon.